Striker-fired version of the LC9 with a short, light trigger. Slim, lightweight and compact design. Blued alloy steel slide and black, one-piece glass-filled nylon grip frame. Checkered grip frame. Dovetailed, high-visibility 3-dot sight system with windage adjustable rear sight and fixed front sight. Blued, alloy steel barrel with 1:10 inch right hand twist. 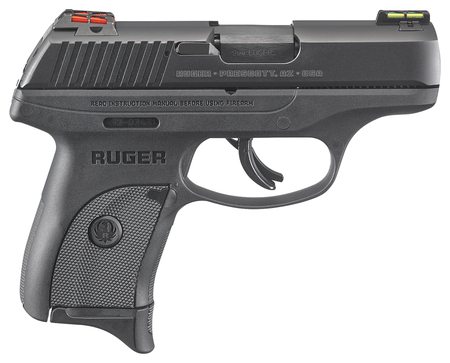 Includes integrated trigger safety, manual safety, magazine disconnect. One 7-round magazine.